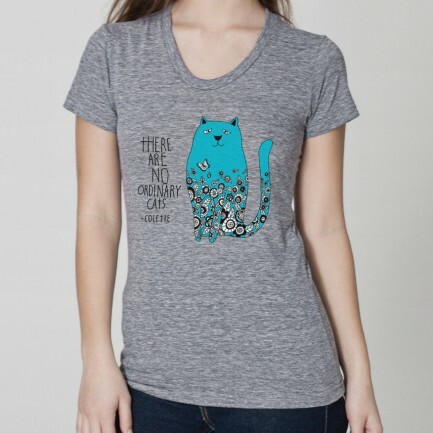 We are enamored with Lisa Congdon’s illustrations of all things growing, growling, purring and howling. From a simple blade of grass, to a butterfly’s wing, to an entire forest, every stroke brings the natural world alive and often deeply adorable. 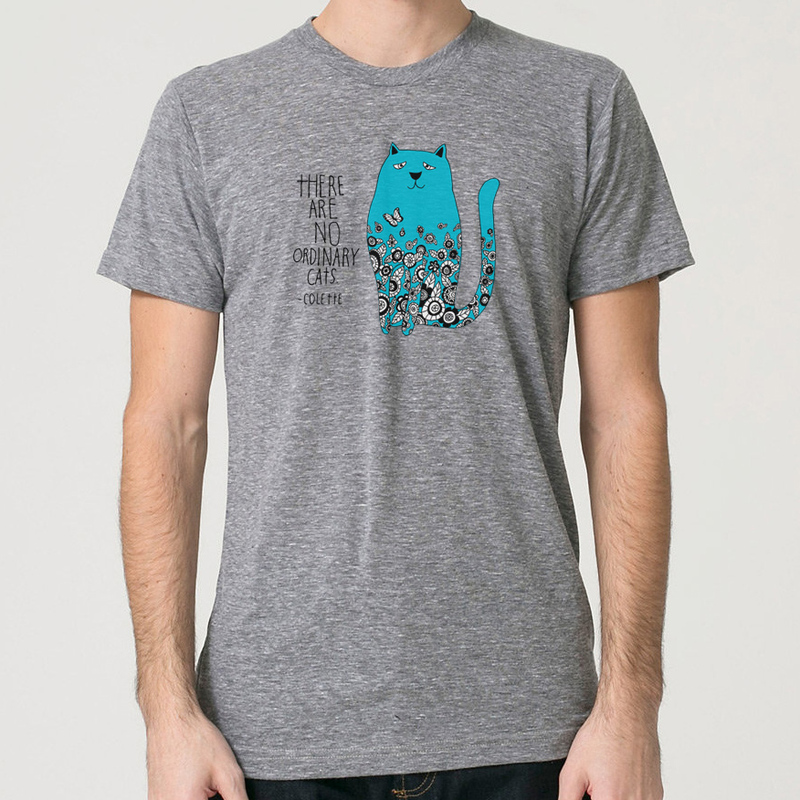 So we couldn’t be happier when Lisa agreed to design the new Teal Cat T-shirt! Inside of this playful fat cat exists a world, wild and free; butterflies and flowers and teal skies forever! 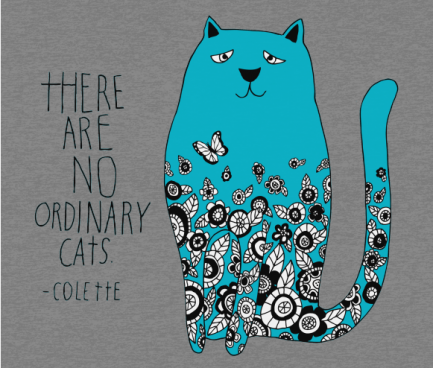 We think it beautifully captures our mission here at The Teal Cat Project. All proceeds go to The Teal Cat Project, to keep us in supplies, so that we can keep raising money for the kitties. Please expect 2 to 4 weeks for delivery. Thank mew! OOh smart, pics when you’re done!